The 40th version of the Clovis Cross Country Invitational commences this Saturday on the iconic Woodward Park course. 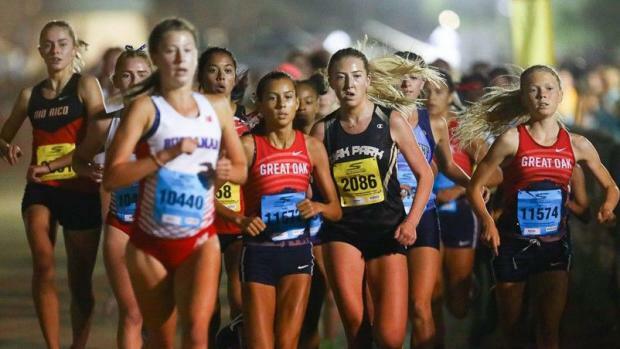 What serves as a primer for many of the best squads in California, the 5000 meter course will be welcomed by some of the Southern Section's best. 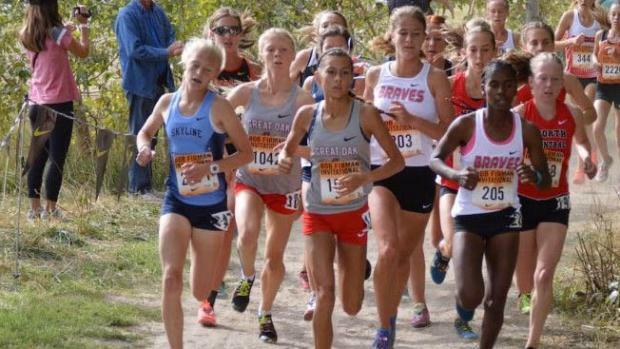 In what is forecasted for great weather, the girls' championship races takes off at 8:55 a.m. Top-ranked Great Oak is primed to go after the Woodward Course record and Tori Gaitan and Arianna Griffiths have been tearing it up this season. With the goal of condensing that scoring gap, Great Oak will insert a new face into their varsity lineup. Sophomore Aubrie Nex, who ran a 17:33.10 PR for 3 miles at Dana Hills on the same day the varsity seven was in Idaho at Bob Firman, is expected to move into the varsity seven for Clovis. Nex's time at Dana Hills was the sixth-fastest of the meet. The Wolfpack will be joined by six other squads ranked in the MileSplitCA Top 20 - SS rankings. Division II powerhouse, Serrano, will try to hold off Foothill Technology, Ayala, West Ranch, Palos Verdes and Capistrano Valley. The last time we saw Foothill Tech on this course, they rolled to a 79-point victory at the Division IV state championships! Individually, the largest of the state's 10 sections will be represented well in the girls Championship field. Great Oak's Gaitan and Fatima Cortes both broke 17:40 on this course last November. Three of the top runners from last year's Division III finals are back: Oak Park's Sylvia Cruz-Albrecht is slated to join her teammate, Sarah Shulze while Palos Verdes' Samantha Steman is working her way back into state meet fitness. Serrano's freshman standout Tiani Goeson will get her first look at the state meet course while fellow freshman, Alexis Fernandez of West Ranch will look to join her. Ayala's Mikaela Ramirez also figures to be up front (she ran her 5K PR of 17:50.10 as a sophomore and ran 17:52.50 for a 12th place finish last year), while Capistrano Valley's Carly Corsinita is having a solid season (first at Dana Hills, second at Laguna Hills, and setting a PR at Woodbridge). Entered as individuals, Arcadia's Joyce Wu and Simi Valley's Jill Walker will also flirt with that 18-minute threshold. The boys' Championship race blasts off at 9:30 a.m. Regarding the Southern Section, eleven of the Top 20, along with five of MileSplitCA's top seven, will go head-to-head here! Great Oak is coming off a great month of September, capped off with an impressive victory at the Bob Firman Invite two weekends ago. The Wolfpack will have their hands full though as No. 2-ranked Newbury Park has Jace Aschbrenner back and are at full strength for the first time this season. Mentioning racing at full strength, West Ranch will also their entire varsity crew for the first time this season as Hunter Romine, is eligible now after transferring from Trinity Classical and should give the Wildcats an extra punch. He has a 16:30.00 PR for 5K. Alexis Romero, formerly of Golden Valley, will also join their varsity seven. As impressive as those two squads were at the Woodbridge Invite, they were missing key scorers and remain very much in the conversation for possible NXN berths next month. Those are three of our top four SS squads, but looking to jump into the top five are Dana Hills and Thousand Oaks. Meanwhile, Pacific League powerhouses, Crescenta Valley and Arcadia will renew their rivalry as both have state meet aspirations. Our odds-on favorite to capture the Div. III title next month, Palos Verdes joins the crowd while La Serna is coming off a nice showing last week and moved into our Top 20. Also among our Top 20, Redlands East Valley and Ayala will use the brisk pace up front to prove why they are two of the better teams in the Southern Section. Finally, watch for Trabuco Hills as with all cylinders clicking as a group, could very well find themselves at the state meet next month. Individually, in the Boys Championship race, it will be a who's who of some of the best of the Southern Section. Newbury Park's Nico Young is currently the No. 1 ranked individual in the section while he will be joined with Ethan Ronk and the aforementioned Aschbrenner. Great Oak, coming off that team victory at Bob Firmman in Idaho, is led by Gabriel Abbes and Tyler Tickner (pictured), who have been solid up front for the Wolfpack. West Ranch's Isaiah Seidman and Evan Bates both broke 14:20 at the Woodbridge Invite last month. Meanwhile, Cool Breeze Invite champion, Crescenta Valley's Dylan Wilbur will also be up front. Dana Hills' Simon Fuller captured his school's own invite two weekends ago while fellow Dolphin Carrick Denker has been a consistent force up front. 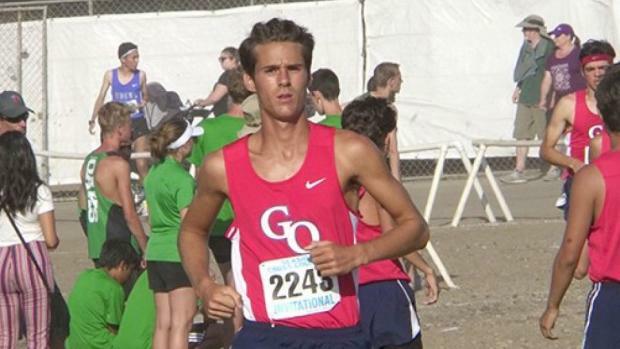 Transferring that 800 meter speed into XC strength, Mitchell Burr will lead a loaded Thousand Oaks squad. This will be Anthony Grover's first real test of the season while fellow JSerra teammate, Peter Herold will also be seeking a top 10 finish. Grover, the defending CIF-State Division IV champion, ran a 15:28.60 5K PR for second in the Varsity Boys XL race here last October. That's a top-six time among returners from last season's Clovis Invitational.